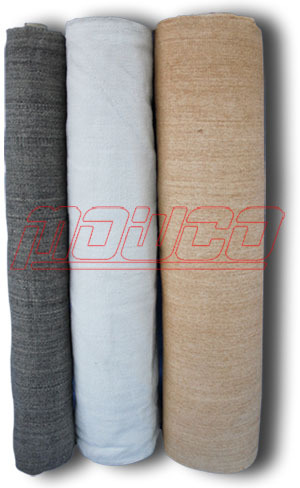 (Heat Treated) ceramic fiber fabric is used as heat insulating materials and an excellent substitute for asbestos fabric. 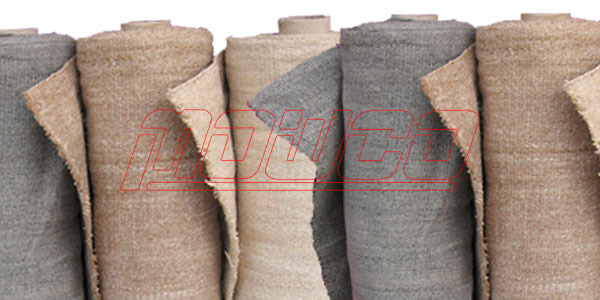 Used as heat insulation curtain, large area thermal insulation. Radiant heat shielding, flexible fabric expansion joints. 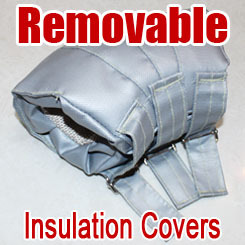 Reinforced with stainless steel wire or glass fiber. Tensile Strength: Warp 76Kgf/5cm, Weft 37 Kgf/5cm. Expansion joint for high temperature piping. Vessel and equipment insulation and heat zone separators. Personal protection products adn other sewing mattress. The ceramic fiber braided round rope is manufactured from ceramic fiber yarn, and braided cover on cover to form a solid packing, suitable for caulking and general thermal insulation application, with properties of low thermal conductivity and suitable for high temperature, etc. 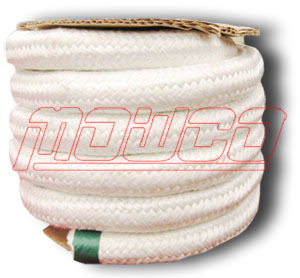 Ceramic fiber braided round rope is an excellent substitute for asbestos rope. Generally reinforced with stainless steel wire or glass fiber yarn. Industrial furnace door, furnace cover, high temperature pipeline, vessel, equipment sealing and insulation. Other high temperature sealing where necessary. The ceramic fiber braided square rope is manufactured from ceramic fiber yarn, and braided cover on cover to form a solid packing, suitable for caulking and general thermal insulation application, with properties of low thermal conductivity and suitable for high temperature, etc. Generally reinforced with stainless steel wire or glass fiber yarn. Normal for stove, burner, heat exchanger, kiln car, chimney door sealing. Diameter: 6mm x 6mm ~ 60mm x 60mm. Industrial furnace door, furnace cover sealing and insulation. Sealing for industrial pump which transport corrosive or high temperature fluid. Sealing for industrial air compressor which transport corrosive or high temperature gas. 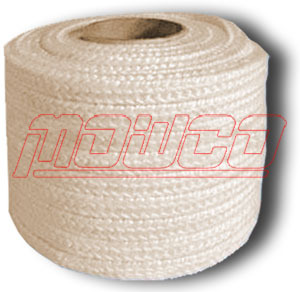 Ceramic fiber rope lagging is manufactured from blown ceramic fiber, with a braided cover. 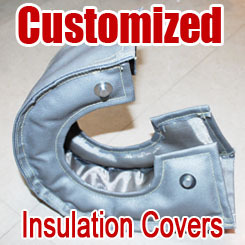 It provides an efficient method of insulating pipe work and is suitable for a variety of high temperature sealing and caulking applications, also form into insulation rings employed on industrial and domestic heating appliances, with properties of low thermal conductivity, light weight, and suitable for high temperature. 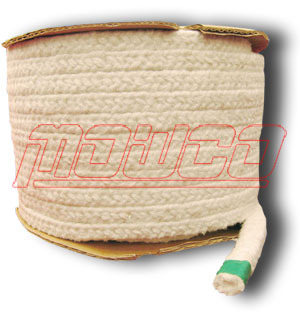 Ceramic fiber rope lagging is an excellent substitute for asbestos rope Thermal insulation and sealing for stove, burner, chimney door sealing, Seal for heat exchanger, kiln car. Insulating and sealing of high temperature pipeline, vessel, equipment and industrial furnace. To be substitute of asbestos. 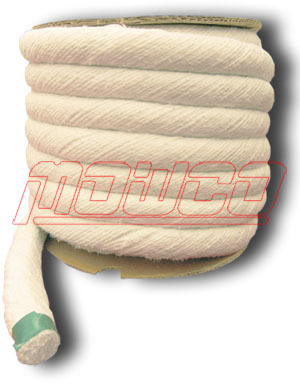 The ceramic fiber twisted rope is twisted from ceramic fiber bulk yarn and used as heat insulation materials and an excellent substitute for asbestos rope, elastic, suitable for filling and stopping expansion joints between boilers and masonry or brickwork, also insulation for heating pipes. Generally reinforced with stainless steel wire or glass fiber yarn. 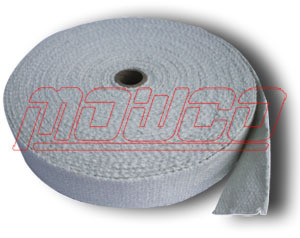 (Heat Treated) ceramic fiber tape is used as heat insulating materials and an excellent substitute for asbestos tape. Suitable for High temperature resistant electrical cable, wire covering and pipe wrapping. Tensile Strength: Warp 76Kgf/5cm, Weft 37Kgf/5cm. Fuel line, vessel and equipment insulation and heat zone separators.